Hypnosis Denver Does Smoking Cause Acne? 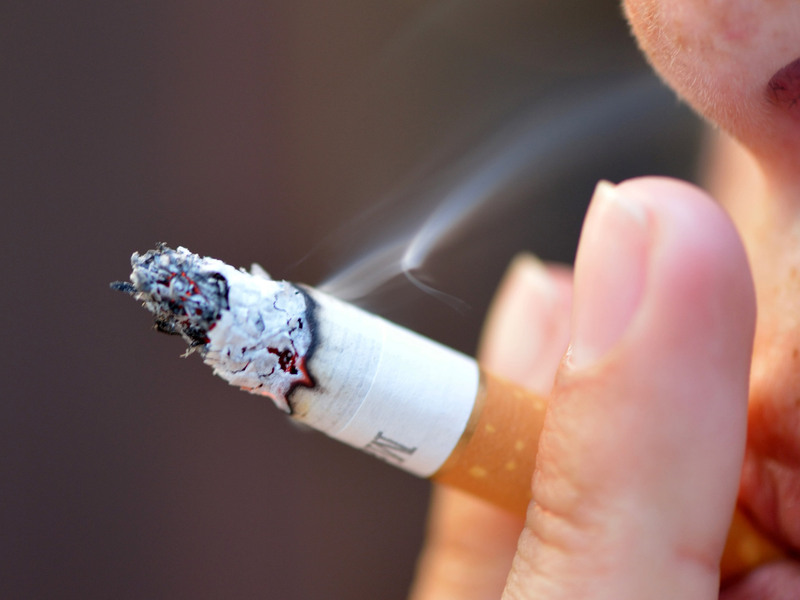 Study shows relationship between cigarette use and acne intensity. A recent study indicates that there is a significant association between cigarette smoking and the development and severity of acne lesions. According to one expert, acne patients who withdraw from cigarette smoking can improve their acne condition. “It is known that cigarette smoking increases the levels of carbon monoxide within the body, which in turn stimulates the sebaceous glands to produce excessive amounts of sebum. “This increased production of sebum will inevitably clog the hair follicles, which in turn will cause the erythematous papular and nodular lesions commonly seen in acne patients. “This increased and continual production of sebum will likely lead to a worsening of the acne condition,” says Mohammad Nassaji-Zavareh, M.D., of the department of infectious diseases, Fatemieh Hospital, Semnan University of Medical Sciences, Semnan, Iran. Dr. Nassaji-Zavareh and Ramin Taheri, M.D., of the department of dermatology at Fatemieh Hospital, Semnan University of Medical Sciences, Semnan, Iran, conducted a study evaluating the relationship between cigarette smoking and the severity of acne lesions. The study included 278 male smokers and 277 male non-smokers, having a mean age or 24 and 23, respectively. Smokers were defined as those study participants who smoked an average of three cigarettes a day for at least two months and those who began smoking habits prior to the development of acne lesions. Patients with liver disease, on corticosteroid therapy and treatment for acne lesions were excluded from the study. Acne and the progression of acne severity were evaluated over a 12-month period. Severe acne was observed in 22.7 percent of smokers compared to only 16.6 percent of non-smokers. Results showed that there was a significant association between the duration of cigarette smoking and acne severity; however, the relationship between the dosage of cigarette smoking and acne intensity was not significant. It appears that acne patients who smoke would very likely experience an improvement in the severity of their acne lesions if they would simply stop smoking. “Adopting this new and healthier habit would lead to a less intense acne condition without the help of topical or systemic acne therapies. However, in conjunction with therapeutic acne regimens, they would very likely achieve a faster clearance and better management of their acne condition,” Dr. Taheri tells Dermatology Times. Other factors that could impact the development of acne and increase severity of lesions include environmental factors, such as working in a steam-filled kitchen or being constantly exposed to smoke. According to Dr. Nassaji-Zavareh, smokers are more prone to develop acne and, specifically, non-inflammatory acne lesions, such as non-inflamed blackheads and blocked pores. The tendency for smokers to develop non-inflammatory compared to inflammatory acne lesions may be due to the anti-inflammatory effects of smoking that inhibit the development of papulopustular acne. “The adverse effects of smoking on the skin are well known, and include premature aging of the skin, wrinkles and a leathery complexion. “More and more research is emerging, linking smoking to acne development, as well as severity of lesions. This new risk factor compounded by a predisposition of acne may lead to an exacerbation of acne disease.